How to Avoid Getting Scammed By a Locksmith? 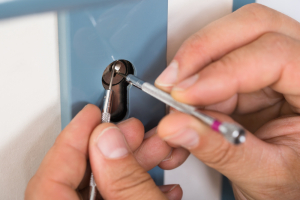 It is understandable that you are not in your proper state of mind during a locked out situation, or during getting stranded in the middle of nowhere, but we advise you to check up on these following points and make sure the Emergency Locksmith White plains that you are going for is 100% genuine. Do your research upfront, be cautious, plan ahead, and pay attention. Stay safe from fraudsters and follow these simple tips mentioned below. Whenever you are opting for a locksmith services, it is always better to go for the local ones. They are recognized and you can even get proper feedbacks and reviews. If a locksmith business shows a local address, check over the internet if there are any other businesses that are registered with the same address. It is even possible that shady locksmiths won’t list a physical address to avoid scammed customers. Even if you are in extremely hurry, do take your time in research, and all the ones you feel are genuine. Ask a nearby neighbor or friends and get suggestions. Check on the code of the mobile number, and see if they are using any offshore code. If your Emergency Locksmith White Plains are a local business, check if they are registered and licensed by the American Locksmith Association (ALOA). Do not go for a company without proper credentials. Only 15 states in America require locksmith licensing, making it a crime to advertise or work as a locksmith without proper credentials in these states. They are Alabama, California, Connecticut, Illinois, Louisiana, Maryland, Nebraska, New Jersey, Nevada, North Carolina, Oklahoma, Oregon, Tennessee, Texas, and Virginia. See if your locksmith is registered under any of these states. A genuine locksmith company will also provide a legit ID proof. Make sure you check it before proceeding. A genuine locksmith company will provide you with multiple payment method options like cash, credit or debit. Any company that has no other payment options except cash, have something fishy about them. It can mean that looking for quick money and there is a 99 percent chance that it is a scam. Make sure you get proper information on their payment procedure before they start their work. Always try to go for credit card payments, so that, if you need to, you can contest the charges. Whenever you are calling a locksmith company, and they are answering by generic phrases like “locksmith at your service” “locksmith services”, instead of a company name, then it is better to avoid business with them. An Honest, legitimate locksmith will always have a specific name that will make them stand out from the rest. Stay away from the generic and go for the legitimate ones. A professional and experienced Emergency Locksmith in White Plains will unlock a door just like that. If they insist on drilling on your doors, so not allow. Chances are they are a scam and are intending to charge more money. Whenever an unknown person is entering your house, you can really trust them. Keep an eye on them all the time, and make sure you do not leave the room. Your alert and carefulness can prevent you from being scammed.